With the advancements in fit technology and fit awareness, the popularity of bike fitting continues to grow. Getting a bike fit can increase performance and an athlete’s enjoyment of cycling by reducing discomfort and the likelihood of overuse injuries. In this piece, I’d like to go over what your options are once you receive a bike fit and leave the fit studio or bike shop. In my opinion, bike fitting is not an exact science. 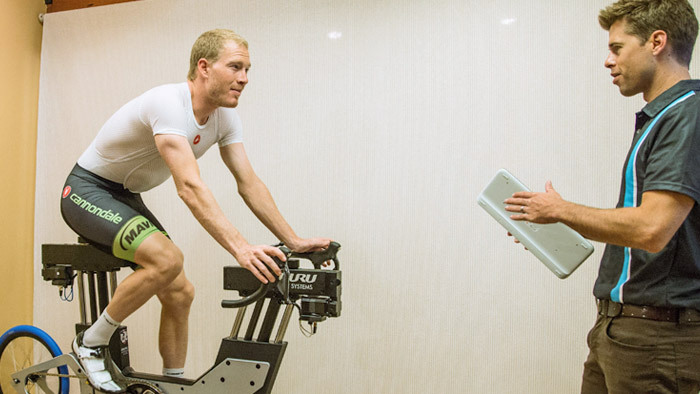 There is indeed an art to the practice of performing a bike fit. I don’t believe even the best bike fitters can get it right everytime. I’m not sure all bike fitters can admit that, but it’s the reality in something as dynamic as cycling. You are looking to buy a new bike or get adjustments made to your existing bike. You do your research, or not, and schedule a bike fit. There are several fit protocols or processes that a fitter can use to conduct your fit. There are processes that are product driven, technology driven, client driven, and a mixture of each. In the end, how do you know your fit is right? What if you get out on the road and it doesn’t feel right? Can you move it? Should you wait it out and see if you adapt? Do you contact your fitter? Do you go see another fitter? A bike position must be comfortable, allow you to apply power to the pedals without restriction, and minimize the risk of injury. Based on a riders sensitivity, a number of bike positions could meet this criteria. You could raise the saddle 3mm, drop the front end 5mm, have them come back a week later and do the opposite. 90 percent of cyclists would have no problem with those changes. In bike fitting, there is what I call a “Range of Right”, meaning that for most cyclists, they will be happy within a range of cycling positions. If during the fit, you and the fitter decide that a 38 degree knee angle extension feels fine, that doesn’t mean that 36, 37, even 40 degrees would not also work. There are several factors that can impact your knee angle and you might not always settle on the perfect saddle height even though it was within a conforming normative range. Bike fits aren’t cheap, and it’s concerning that you might leave a session and your fit is not perfect. Even though you and the fitter came to the conclusion the fit was good, you might find that once you get out on the road and put some time on the new position, you want to make some adjustments. This doesn’t mean your fitter didn’t do a good job. Here is how I handle this situation when working with my bike fit clients. When I’m fitting, I’m as honest and transparent as possible. I’ll talk the athlete through the adaptation process and any areas of discomfort they might experience. I also let them know a few tweaks they can make on their own based on their intuition once the leave the fit studio. Not all fitters will use this approach and will instead “sell” their work which creates initial confidence within their clients. However, once something doesn’t feel right, it leaves the client confused as to what they should do if the fitter said this position was perfect. I prefer to give clients some leeway as they put some miles on their new position. After the fit, I’m usually certain that if changes need to be made, which direction they will go. I recommend they only try 2 to 3 millimeters of saddle adjustment and 5 to 10 millimeters on the front end. Anymore than that and I ask that they contact me. I always ask that clients to contact me if they are having problems with their fit- it doesn’t hurt my feelings! Unless you’ve determined that your fitter is incompetent, you should always contact the person who initially completed your fit. That fitter will be in the best position to remedy your fit problem. Once you feel your position is dialed, don’t overthink it- just pick and stick. Just because you have some freedom to adjust your position, doesn’t mean that you should. Start the process by finding a reputable fit expert in your area. I always tell people that good tools don’t make a good bike fitter, but a good fitter should have the right tools. A good bike fitter is the most important tool available.